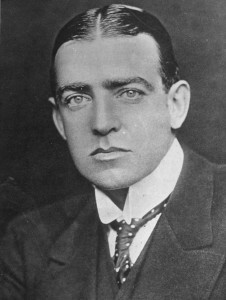 When Ernest Shackleton arrived back in England on 12 June 1903, he found that Scott’s 1901–04 expedition, from which had been virtually sacked, was a controversial subject. Before departing, Scott had been told that the expedition was not to stay a second winter, and Discovery being icebound was the result of incompetence. Furthermore, Scott’s expedition was broke, so the government would have to pay for the forthcoming relief voyage of Morning and Terra Nova. Shackleton, by contrast, was home and was a polar hero. He was soon declared fit for Antarctic service, and used his fame to raise his social standing. He also needed money. After a short period as a journalist he was appointed Secretary of the Royal Scottish Geographical Society, stood for Parliament in an election that he lost (along with his party), and set about organizing his own Antarctic expedition. On 8 February 1907, William Beardmore, Shackleton’s main sponsor, promised a large loan, and just three days later Shackleton was assembling his British Antarctic Expedition. However, he soon learned that Scott was planning to sail south again, and regarded not just the Discovery base but the whole of Ross Island as rightfully his; he insisted Shackleton should stay away. Pressured by their mutual colleague Edward Wilson, Shackleton agreed to this outrageous constraint. The expedition left England on 7 August 1907 aboard Nimrod. The ship also carried a motorcar: an Arrol-Johnston made in Scotland at a factory owned by Beardmore. Shackleton left later, and met the ship in Lyttelton; Nimrod could only make six knots, so catching up was not hard. The 300-ton Nimrod was 40 years old and rather battered, but Shackleton could not afford his first choice, Bjørn. To save coal, Nimrod was towed from New Zealand into the ice by the larger Koonya, owned by the New Zealand’s Union Steamship Company and captained by Frederick Evans. The ships left New Zealand on New Year’s Day 1908, and turned north just past the Antarctic Circle on 15 January after two weeks of life-threatening storms. Shackleton noted that Koonya was the first steel vessel to cross the Antarctic Circle. At 9.30 am on 23 January, they sighted the Ross Barrier (now the Ross Ice Shelf) and sailed along it, looking for the bay in the ice that Scott had named Balloon Bight after he and Shackleton went aloft there. They passed the bay where Borchgrevink had landed in 1900, “but it had greatly changed.” Then they came to a large harbor that Shackleton named the Bay of Whales because “it was a veritable playground for these monsters” before he fled the heavy ice that was driving into this bay. When Shackleton realized that this was where he had ballooned, but the configuration had changed dramatically because a large section of the ice shelf had broken away, he resolved to make his winter base on land, not ice. When pack ice prevented him from continuing east, he broke his promise to Scott and turned west toward Ross Island. 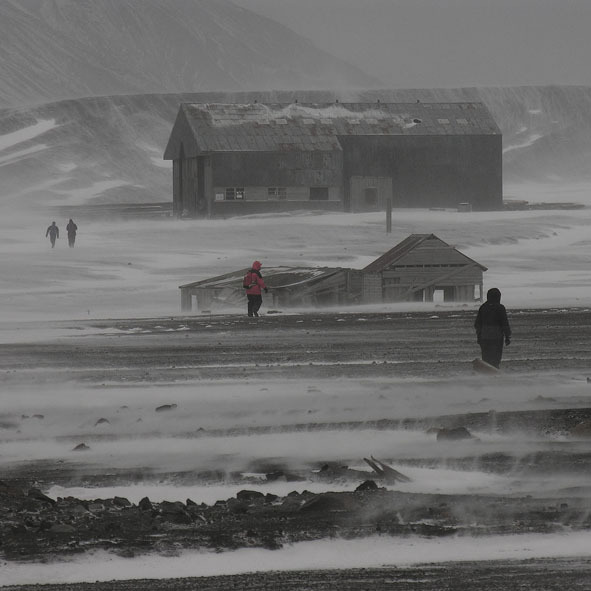 But even there sea ice stopped Nimrod from approaching the old Discovery hut at Hut Point, so they erected their prefabricated hut at Cape Royds. Nimrod left a wintering party of 15 when she sailed for Lyttelton on 22 February. Their first major land excursion was the first ascent of Mount Erebus. Edgeworth David (the leader), Douglas Mawson, Alistair Mackay, and a support party of three left on 5 March, and struggled through savage blizzards to the summit (3,795 meters/12,450 ft) on 10 March; they were back two days later. On 29 October, Shackleton, Frank Wild, Jameson Boyd Adams, and Eric Marshall set out for the South Geographic Pole. Shackleton planned to walk and use ponies, even though the advantages of skis and dogs for polar travel were by now widely recognized. The car, Antarctica’s first, was virtually useless. By 26 November, Shackleton could again claim a record for the furthest south—further than he had penetrated with Scott—but he was worried that they were already rationing food. In early December they became the first men to reach the southern extent of the Ross Ice Shelf and to climb the vast Beardmore Glacier onto the polar ice cap. The climb was a nightmare, and on 7 December the last pony fell into a crevasse and died. Just after Christmas, the slope became easier and they were on the ice cap, but they had only one month’s food to reach the Pole and return to their supply dump—a journey of almost 800 kilometers (500 miles). They were all suffering from altitude sickness, and Shackleton described the symptoms: “My head is very bad … as though the nerves were being twisted up with a corkscrew and then pulled out.” He was torn between his ambition to reach the Pole and his sense of responsibility for his men. By 2 January he was writing: “I must … consider the lives of those who are with me. I feel that if we go on too far it will be impossible to get back … man can only do his best … time is going on and food is going also.” On 9 January they left everything behind and made a one-day push to the south—to come within 160 kilometers (100 miles) of the Pole—and back. At 88°23´S they hoisted the Union Jack, took some photographs, and left a commemorative brass cylinder. Looking southward, Shackleton noted: “We feel sure that the goal we have failed to reach lies on this plain … we stayed only a few minutes … Whatever regrets may be, we have done our best.” By the time they returned to their camp that day, they had traveled 66 kilometers (41 miles). On the return journey, they hoisted a sail on their sledge and quickly reached the top of the Beardmore Glacier, but descending to their food dump while weak and short of food was extremely draining: “I cannot describe adequately the mental and physical strain of the last 48 hours,” wrote Shackleton of 26 and 27 January. They were near death, yet on 31 January Shackleton surreptitiously gave Frank Wild his breakfast biscuit. Wild wrote: “I do not suppose that anyone else in the world can thoroughly realize how much generosity and sympathy was shown by this; I do by God I shall never forget it.” They all had acute dysentery and were “appallingly hungry,” and by 21 February Shackleton was writing: “Our need is extreme and we must keep going … food lies ahead and death stalks us from behind.” Two days later they arrived at Bluff Depot and food supplies, but Marshall was so ill that Shackleton and Wild left him with Adams and pressed on to arrange rescue. They found the building at Hut Point empty, but there was a note saying that the ship was nearby, so they set fire to a hut to attract attention. It worked; by 1 March both were on board the Nimrod. After “a good feed of bacon and fried bread,” the indomitable Shackleton set off with three companions on the 181⁄2 hour trek to rescue Adams and Marshall. Shackleton wrote: “We were all safe on board at 1 am on March 4.” The polar party had walked 2,740 kilo-meters (1,700 miles) in 128 days. Meanwhile, the others had also had some harrowing experiences. Their most ambitious expedition was the Northern Sledging Party to the South Magnetic Pole, with a party of three: Edgeworth David, Douglas Mawson, and Alistair Mackay. David and Mawson were Australian geologists, and Mackay was a naval surgeon. David, the leader, turned 51 during the journey, Mawson was 26, and Mackay 30. They tried using the car to transport supplies across the sea ice, but soon abandoned it in favor of man-hauling—a challenging task, as one of the two sledges weighed 275 kilograms (606 lb) and they had some 1,600 kilometers (1,000 miles) to cover. 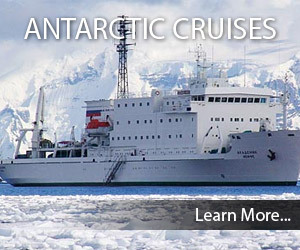 They left Cape Royds on 5 October, while supply depots were still being set up for the geographic polar bid. Shackleton was to cross the ice shelf while the sledging party walked northward on the sea ice along the edge of Victoria Land (which they claimed for Britain on 17 October), with Mawson as pathfinder. Heavy loads and soft snow slowed them down, so they cached some of their rations and relied on seal and penguin meat, cooked on an improvised stove. They could not abandon any sleeping gear; they already shared a three-man sleeping bag and kept each other awake. Their intended route up the Drygalski Ice Tongue proved impractical. David recalled that, by 20 December, “We had not yet climbed more than 100 feet [36 meters] or so above sea level … We knew that we had to travel at least 480 to 500 miles [770 to 800 kilometers] to the Magnetic Pole and back to our depot, and there remained only six weeks to accomplish this journey.” They pushed on with a single sledge weighing 305 kilograms (670 lb), and climbed a route they named Backstairs Passage. To return to meet Nimrod at their depot on the Drygalski Ice Tongue, they had to average 162⁄3 miles for 15 days. They had full rations, but were short of tea and took to recycling tea bags that they had discarded on the outward journey and salvaged as they went back. They reached the depot on the morning of 3 February; only a few hours later they heard a rocket, and rushed from their tent to see Nimrod very close. A distinguished career was almost snuffed out when Mawson fell into a crevasse and had to be rescued, but then a journey of 2,030 kilometers (1,260 miles) over 122 days ended luxuriously with their first baths in four months. Only later did they learn how lucky they were to be found. Nimrod had a daunting 200 miles of coast to search for their three small figures. John King Davis, First Officer, was on duty from 4 am to 8 am on 3 February. When Captain Evans came on deck before breakfast and confided that he thought that there was little chance of finding the land party, he asked Davis if his watch had examined the entire coast. Davis admitted that a small section had been obscured by icebergs. After balancing the extra fuel expenditure against the likelihood of the men being in just that location, they decided to steam back for four hours. Sailing into a narrow fault in the ice behind the obstructing icebergs, they saw that “upon the crest of a little knoll of ice was a green conical tent.” When Nimrod had first passed this spot the expeditioners had been further up the glacier. If Davis had not missed it and decided to return, the Magnetic Pole party would have been left to make their own way back to Cape Royds. Much of the sea ice had broken up, and their chances of surviving would have been slight. With David, Mackay, and Mawson on board, Nimrod returned to Cape Royds, and then to Hut Point where they found Shackleton and his party. On the way back to New Zealand, Shackleton sailed along the coast beyond Cape Adare to map the coast of Adélie Land as far west as possible, and reached 166°14´E—beyond any previous effort. They reached Lyttelton on 25 March and were back in England in June.